Avoid the Pope Francis traffic jam Friday. Fly to work. Getting from one side of Manhattan to the other during Pope Francis' visit is expected to be such a hellish experience that a helicopter company is offering to fly passengers across town. BLADE, an on-demand chopper service, is providing the midtown Manhattan rush-hour trips on Friday for $95. The flights will be available from 7:45 am to 10 am and from 5 pm to 7 pm -- peak commute times. 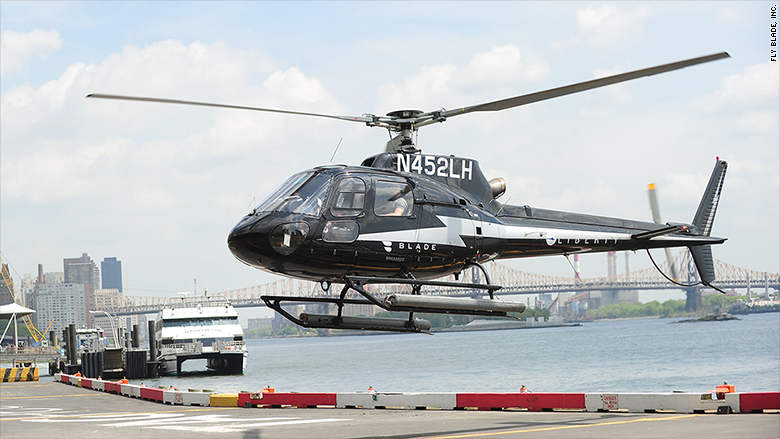 The flights take off from BLADE heliports at East 34th Street and West 30th Street and will commute between the two heliports. Fliers can spend time in the company's lounges while they wait for their five to eight-minute flights. The company emailed existing customers and noted that due to heightened security, TSA would be present to screen passengers. Baggage will be limited to purses and briefcases and alcohol won't be served during flights or in the lounges. Flights will also be diverted around the southern tip of Manhattan. Since NYC is expected to have an influx of tourists for the pope's visit, and police are planning street closures in midtown, gridlock is going to be an issue. BLADE doesn't usually offer crosstown flights, but is running this route during the pope's visit. The service can be booked via its app as part of its BLADE Bounce-X service. 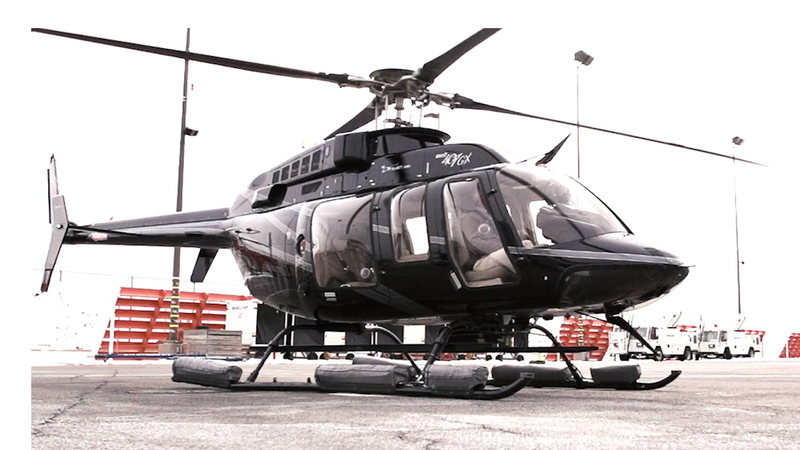 Typically the chopper company flies to and from airports and vacation destinations. Trips to areas such as the Hamptons and Nantucket range from $395 to $1,250. Charters typically cost more depending on the destination and trips to NYC airports start at $895.